Sore back, neck strain and headaches? If you sit for long periods it is inevitable that you will experience the health impacts of sitting the wrong way at some stage. The Workhorse Saddle Chair changes all of this by comfortably maintaining your body in the ideal sitting posture. 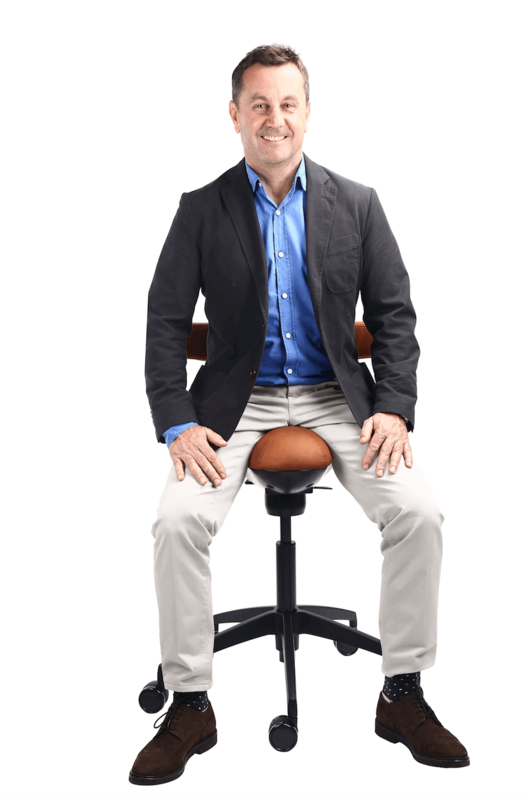 After years of treating patients with back pain from sitting in regular chairs I started my mission to change the way the world sits. Over 5 years I've designed and tested prototypes to provide a new sitting experience that your body will thank you for. On 18 December 2018 the Workhorse Saddle Chair was fully funded on Kickstarter with over 500 chairs ordered across 40+ countries. This has allowed us to commence commercial production and start distributing to the world. While we are delivering our first shipment you will be able to get a great deal on a Pre-order priced chair at 25% off retail, so hurry as these offers won't last. If you want to experience better health, performance and quality of life then do your back a favour and get a Pre-order deal today.